You are currently browsing the tag archive for the ‘girls and horses’ tag. I’ve been opening up the photo album to give you a peek at times past with Bud and Pepper and the rest of us at Two Old Horses & Me. Our friend Bryn and Bud more than a few years ago. 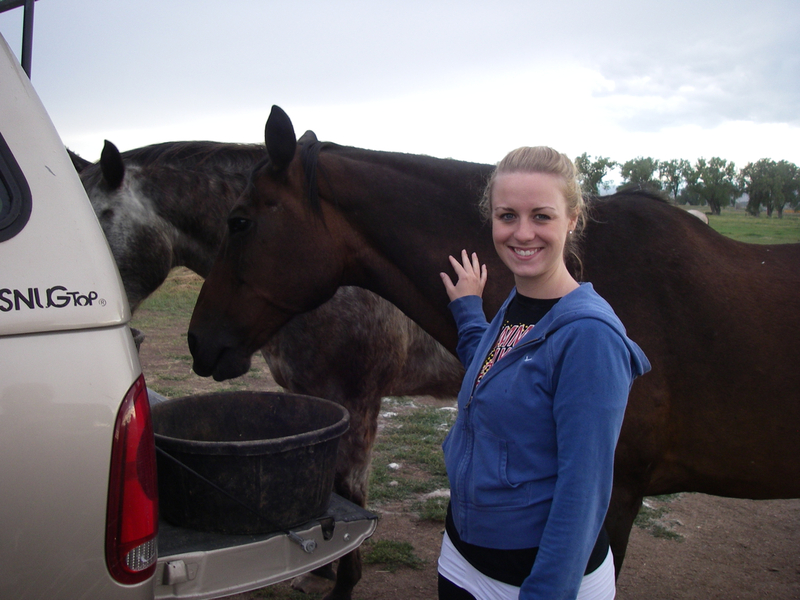 We love sharing our horses with our friends. Bud has a new friend. 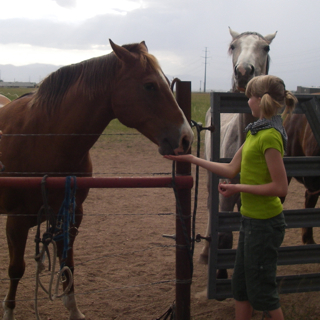 A darling little blond haired girl with cowboy boots and a passion for horses. 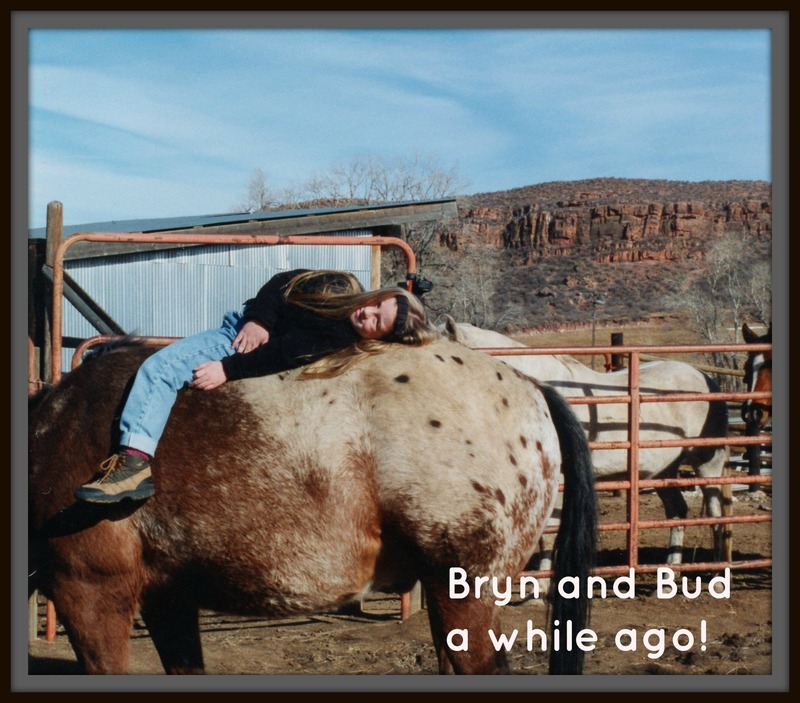 This was her first horse-to-person encounter, and you can see from the smile on her face and the way she is lounging atop Bud, that she is extremely comfortable. This little girl was ready to ride. And, as usual, Bud was the perfect gentleman – calm and easygoing. He allowed her to sit on his back as he ate his grain. And then when he finished, he kindly consented to go for a short walk so this little darling could feel what it’s like to be on a moving horse. No worries with this sweet old guy. 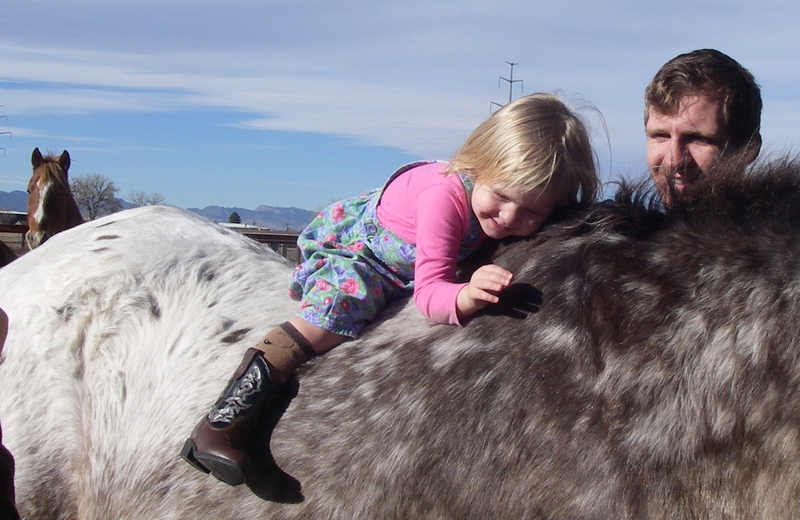 Girls and horses have long had a very special relationship. Some people speculate that horses help girls feel powerful. Certainly gaining competence in managing a twelve hundred pound animal creates a sense of accomplishment. And yes, maybe even power. Personal empowerment. I know I’ve felt empowered, as I’ve gained skill and familiarity with our two old sweeties. In the past, horses were used for work or financial gain in what was primarily a male dominated environment. And certainly some of that still exists today on ranches and racetracks – still more men than women. 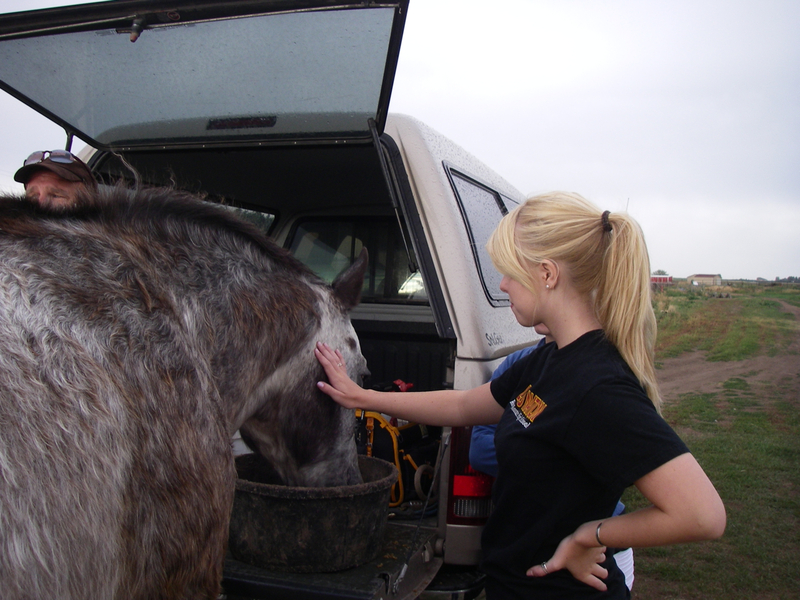 But a huge majority of horses have become companion animals, kept for pleasure instead of work. And their companions are overwhelmingly female. When I look around the boarding facility where Bud and Pepper live, I see few men coming to spend time with their horses. It’s a woman’s world out there. Female trainers and their students, school-age girls, college students and women like me make up the majority of boarders. Horses and the work that goes into keeping them, the grooming, feeding, and training, may indeed empower girls. There is nothing like the feeling of wind in your face as you move across the prairie on a galloping horse. It’s power, control and being just on the edge of danger. Heady stuff. But it is also about the relationship with these amazing animals. Horses are all heart, and give so willingly to please the humans with whom they share their lives. It’s that soul connection that thrills me. Every time I’m with the horses, I know I am in the presence of greatness. And that’s what keeps me coming back. I’ve had this quotation echoing in my head for years, though I hadn’t looked up who said it until recently. Turns out it was Heraclitus, the Greek philosopher, 535 BC – 475 BC. Why ancient Greek philosophers reside in my head is another story entirely – one I may not be able to answer just yet, though it probably has something to do with Callie Mistead, my high school English literature teacher, or Miss Drake, my venerable Latin instructor. Let me say I had to reach a little to remember those names! I’ve been working on scrapbook pages for one of our friends. I first met this amazing young woman the day she was born, and it has been my privilege and pleasure to share her life every day since. Well, somewhere between then and now, she grew up. She’s heading off to college this week and I simply can’t wrap my head around it. Or maybe it’s my heart that’s having the problem. That’s when good old Heraclitus began whispering to me about change. And in case you’re thinking I’m slipping, let me reassure you, I know things change. I just don’t always like it. I’m happy for her moving to the next wonderful part of her life. Really I am. But there is something about looking at photographs that’s bittersweet. My sister says that reminiscing is something we do “at this age.” If you know her, that would be especially humorous. But in a way, she’s right. I was reminiscing. One summer we had a weekly date with our now-grown-up friend. 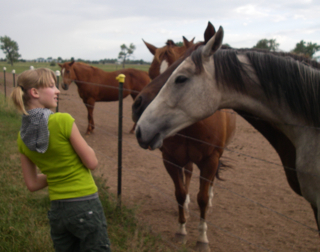 She wanted time with the horses, and we wanted time with her. We’d pick her up, head out to the pasture for a couple of hours, and then have lunch at the bagel shop. It became a routine and was an especially sweet time for all of us. 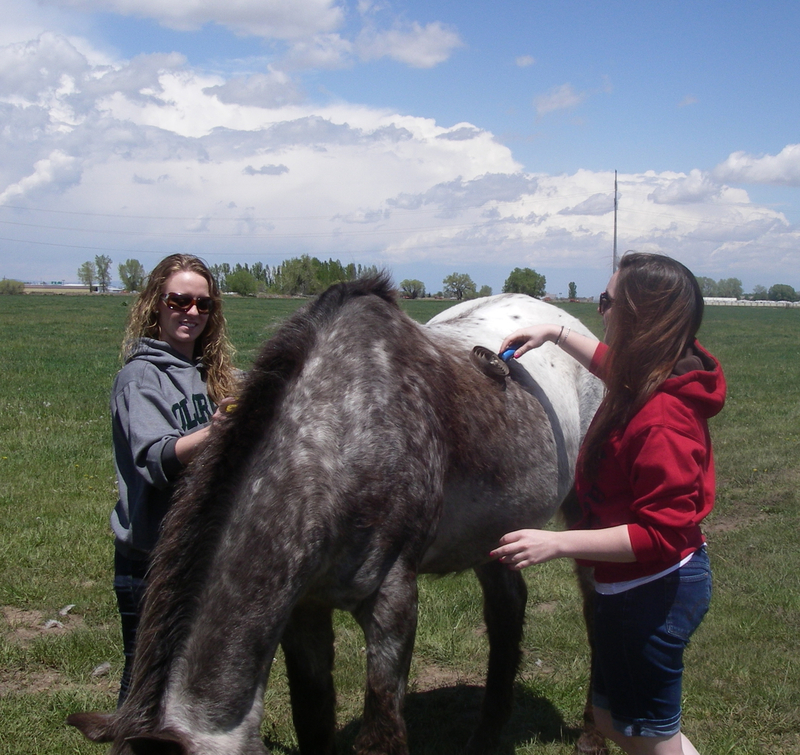 The horses got a huge dose of pampering; we soaked up healing horse energy; and had so much fun together. Now off she goes, across the country to make her way in the world. We recently had the happy occasion of visitors to the pasture. Two beautiful, vivacious young women came to see Bud and Pepper and the rest of the Oldsters. The day was perfect: sun beaming down, blue skies and the mud puddles were well on their way to drying up. They ran out the gate directly to each other’s feed pans. This doesn’t work because of the individualized meds they receive. And they know which pan is theirs. It’s always on the same side. We’ve done this thousands of times. With a bit of encouragement, we got them eating from their own pans. Problem was they weren’t that interested in eating. Two weeks in a pasture of lush grass has dulled their appetite for grain. Pepper would wander off and we had to keep redirecting her to her lunch. She was searching for snacks, which I’ve had to start keeping hidden inside the car. Apparently her dessert stomach wasn’t full! For a while, Bud luxuriated in being groomed by not one, but two girls. They cooed over him and I could tell he loved it. Who wouldn’t? But then he tired of eating and followed Pepper’s lead. He wandered away from us into the pasture. He seemed ready for a game of chase. The girls didn’t know what to think. I was envisioning round two of the Appaloosa Boot Camp, and not happy at the thought of chasing Bud around the pasture. As I approached him with the lead rope, he took one look at me and then bolted toward the gate. He ran all the way. Now I knew he was showing off for the girls. It was as if he didn’t want me to lead him with a halter around his neck. He wanted to run like the wind. Which is exactly what he did. Well maybe he ran more like a breeze, but it was running all the same. He looked strong and powerful, and the girls were duly impressed. As we age, don’t we yearn to experience a few more moments of the vigor of our youth? Bud ran all the way to the gate and nudged it, as if it would magically open. When I caught up with him, I let him into the pasture with Miss Pepper, Amigo and Red. All four bellied up to the fence for more snacks and compliments. Like I said, it was a perfect day. I’m a people person – always have been. I’ve chosen a career path that involves working with people in a variety of ways. I’ve been a speech therapist, a preschool teacher, a high school teacher, a college teacher, a parent educator, and a family therapist. So yes, I care about people. I truly believe it. My friends and family are the source of my wealth. Don’t get me wrong. I like nice things. Who doesn’t? And I’m not living under a bridge somewhere. I have things. Plenty of them. It’s just that for me, people are what make me happiest. I’m lucky to have a circle of friends who have remained constants in my life for a long time. We know each other. We share in each other’s life experiences – the good and the not so good. 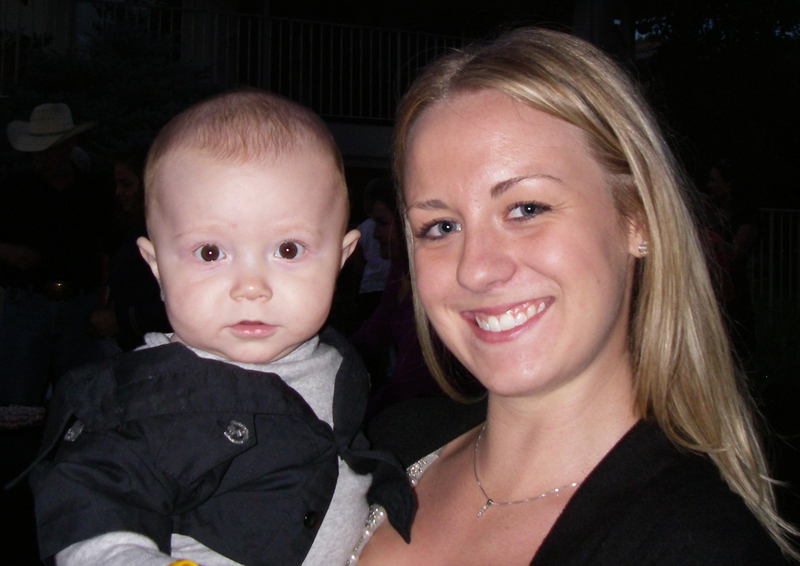 We’ve been part of watching each other’s kids grow up; jobs come and go; and health issues rearing their ugly heads. We’ve been to graduations, weddings, and memorial services for parents. We are a circle of friends. You may be wondering how this relates to the horses. Years ago we started taking two of our young friends to visit Bud and Pepper. It was a time for us to get to know each other, and a great adventure for the girls. They’d feed carrots and apples, help us groom, and ride around the arena, or pasture, or round pen. And just this week they came with us to the pasture to get reacquainted with Bud and Pepper. They’ve been busy these past few years with all the things that fill young women’s lives. School activities, friends, dating, and college. As I watched them greet the horses, I got a little choked up. This experience with these horses is a constant. Its something the girls will tuck away in their memory banks and pull out to savor from time to time. And Rick and I will do the same. 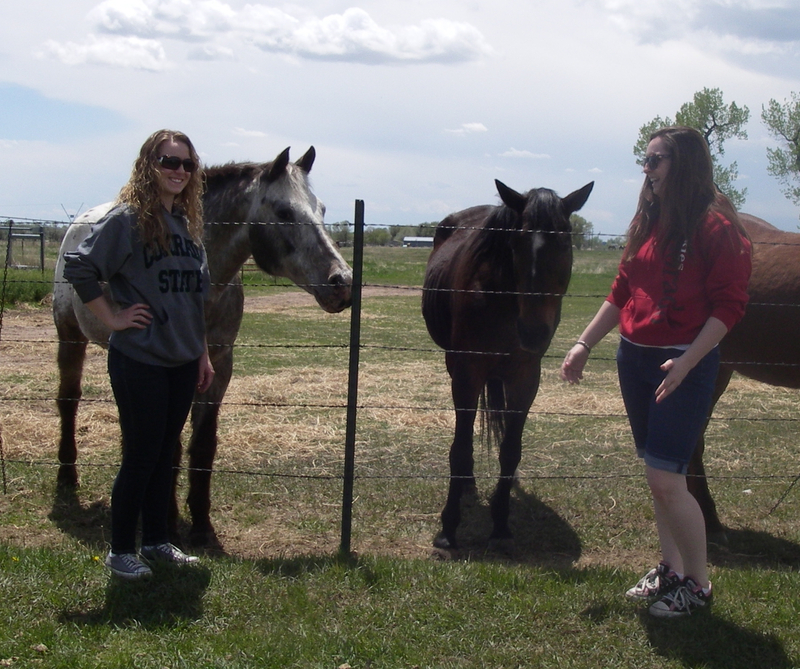 We shared this time with the horses. I love the circularity of it. When you’re involved with people through the course of their lives, you’re rewarded over and over by the intricate design woven by the relationships. I was present when each of these girls was born. I held them as babies, watched them grow into competent, beautiful young women. 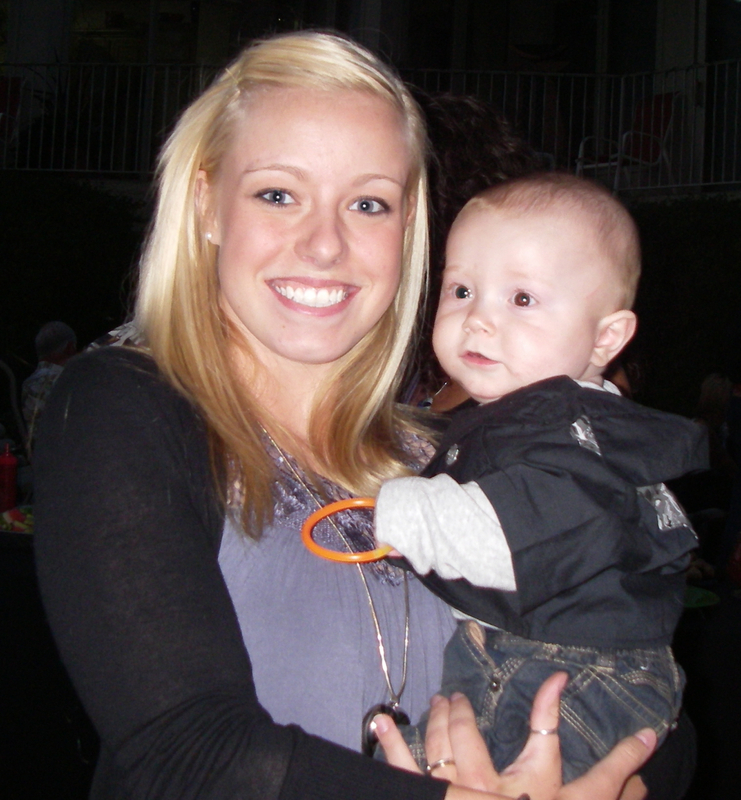 And this week, when my son and his baby were visiting, the same girls I held as babies now held my baby’s baby. The circle just continues to rotate around us, keeping all of us in its orbit. What is it about girls and horses? It’s not that boys and men don’t care about horses, because obviously they do. But there seems to be a special bond between women and their horses. There’s plenty of speculation as to why. Some experts suggest it is a power thing. Horses are after all big and powerful animals. And to be able to control one, by default makes the girl doing the controlling, also powerful. Other experts say it’s a nurturing thing. Females are more likely to be the caregivers – the ones to nurture everyone else. I know that’s an overly generalized statement, because I know men who give women a run for their money in the caregiving department. But typically, females are more about creating and maintaining relationships. Yet another theory is that riding horses is an equal opportunity sport – men and women can compete on a relatively level playing field. And then there was good old Dr. Sigmund Freud who theorized that a woman’s relationship with a horse had a strong sexual component. 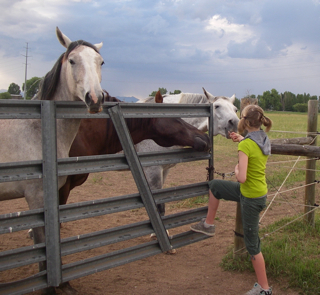 We recently invited friends and their granddaughter to come with us to visit the horses. You can tell from the photographs that she had a wonderful time. So much so, in fact, she asked for a second visit. From the beginning, it was a mutual love fest. Our little band of characters knew from the get go that this was an “okay person.” They nudged and nuzzled and begged and drooled. As for the granddaughter – she was blissed out. She seemed to also know that these horses wouldn’t hurt her. Oh, we gave her the usual speech about precautions around the horses. And I kept my eye on her the whole time. But really, she, and every horse, was just fine. Watching them together with such joy and abandon was a gift. What about you? 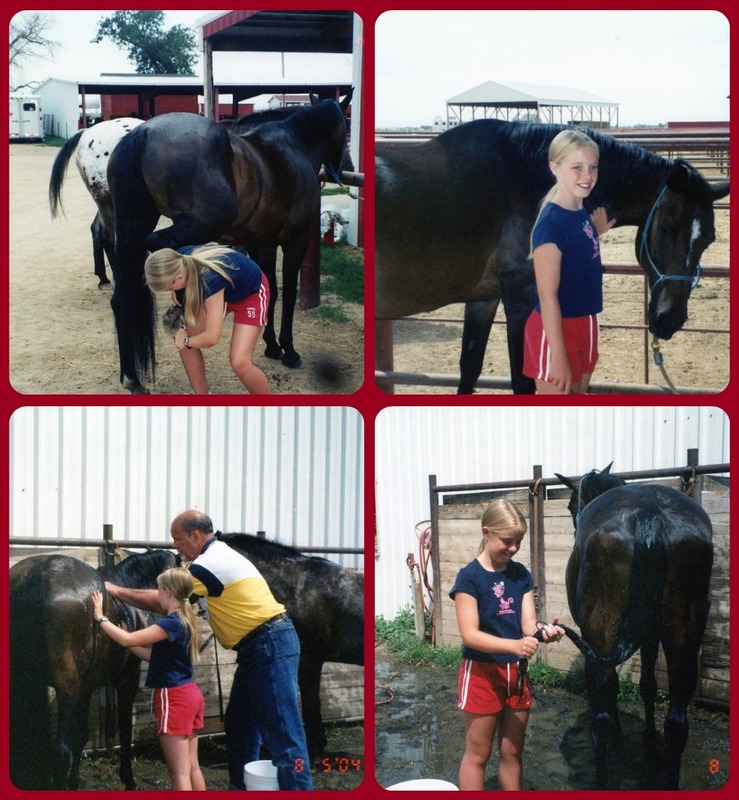 Have you had a childhood experience with horses?